Gorgeous card Sylvie, adorable image and beautiful detailing. A gorgeous card Sylvie. I love the image and the pretty heart border die. What a cute card, Sylvie! 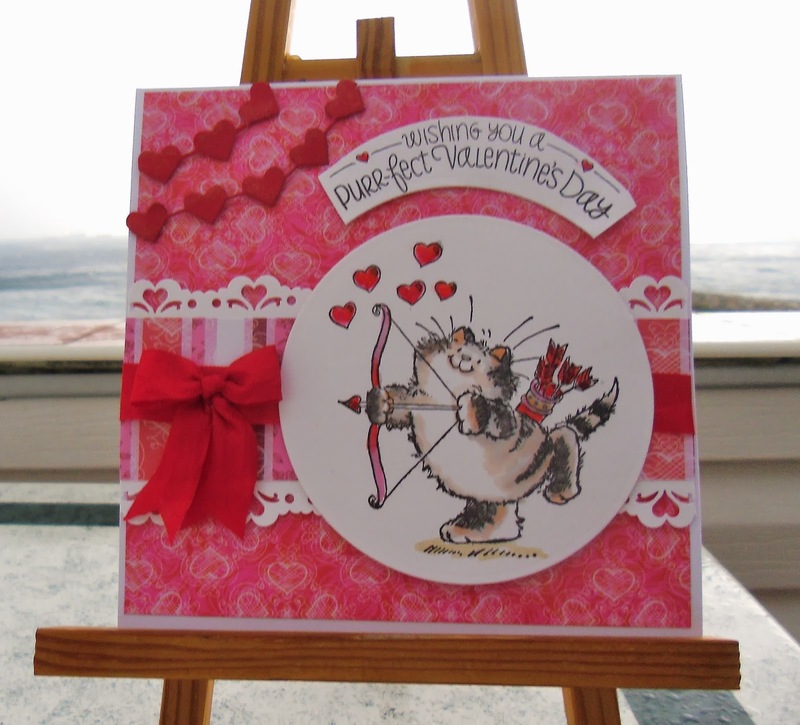 Cupid Kitty looks like he means business shooting all those hearts! Hi Sylvie, What a very pretty card. I love the kitty image and the gorgeous heart borders. I love the backdrop for your cards too. Looks like paradise!! What a lovely cat! It's so cute! Hi Sylvie,This is so gorgeous!! Hi Sylvie, fabulous card. Just love this image which is beautifully coloured. Keep meaning to ask you if you get to see the TV programme Gibraltar:Britain in the Sun? It was the last programme last night - shame, it's so enjoyable.......keep looking out for you but haven't spotted you yet!